Linda Fargo, the senior VP and fashion director of Bergdorf Goodman, is getting ready to debut a curated public art exhibition for the School of Visual Arts just in time for New York Fashion Week. The exhibit, called “The Language of Fashion,” was directed by Yelena Deyneko, co-founder of Spirit & Fresh and hosted by Madison Avenue Business Improvement District. It will feature 15 heroic-sized cutout sculptures inspired by graphic designs created by students enrolled at the college. 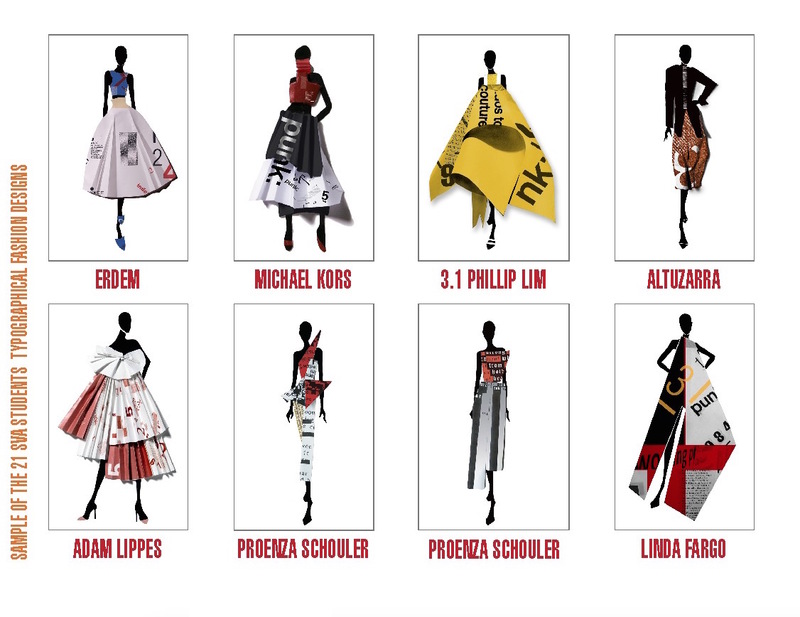 The project stemmed from Olga Mezhibovskaya, an award-winning designer and SVA professor, who asked her graphic design students to create textile designs using solely typography and to create paper dress models from their designs. As for Fargo’s role in the initiative, she brought together some of fashion’s most loved designers to help mentor the students and transform their illustrations into wearable fashion. The lineup includes Altuzarra, Rosie Assoulin, Francisco Costa, Delpozo, Jennifer Csengody, Alber Elba, Erdem, Naeem Khan, Carol Lim, Phillip lim, Adam Lippes, Michael Kors, Jonathan Simkhai, Isabel and Ruben Toledo, Jason Wu, Ayanat Ksenbai, Geoff Howell and Proenza Schouler. The exhibit will be on view from September 8 through September 18 at 57th and 79th streets on Madison Avenue.